True, Thunderclap is a very good platform you can use to get your campaign to reach a very considerable amount of audience in a day. 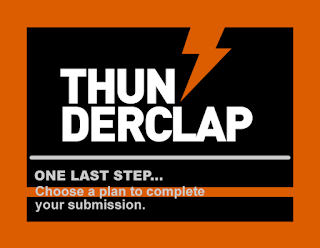 For it delivers your message/campaign you want to spread to virtually all the follower and friends of those who support the message or campaign you create with Thunderclap. You campaign will not get pushed out if it did not reach the stipulated supporters. And the fact is, the minimal supporters are predefined by them. You cannot adjust your campaign message once it gets approved even before it blast date, but you can do that if you purchase any of their blast plan. But the fact still remains, if your campaign gets approve by Thunderclap and you were able to reach the minimum supporters you stipulate when creating the campaign or message, then, Thunderclap is a very good way of sharing message that will not get ignored.